Exactly one year ago, Trützschler Nonwovens & Man-Made Fibers GmbH took on board the employees and expertise of Bastian Wickeltechnik GmbH. The well-known name for high-quality fully automatic unwinders, winders and short roll winders, as well as rewinding and cutting systems, lives on in the portfolio of the Trützschler Group through the Bastian product brand. In the past 12 months, integration has progressed very successfully both for Trützschler Nonwovens and for the Bastian brand. 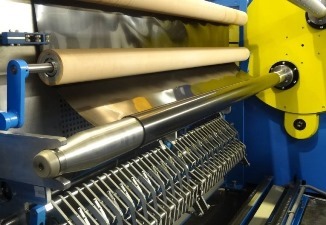 In early 2013, the first Trützschler winder, a specially designed high-performance winder for up to 5 mm strength nonwoven composite films, went into production in Austria. The high degree of automation in this fully automatic short roll winder with an integrated core loader and masking unit allows short cycle times for changing rolls, even in both winding directions. As with nearly all winders in the Bastian product line, the execution of this process requires no preparation at the roll core for setting up materials. For the coming months more film winders are lined up for delivery. Trützschler Nonwovens & Man-Made Fibers has achieved a solid foothold in the converting industry with the Bastian winders. 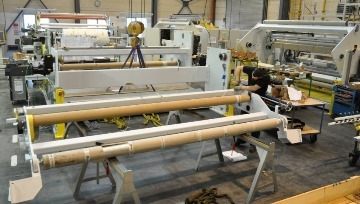 At the same time, the company is continually expanding its winding solutions business for the nonwovens sector. Its approach of offering complete systems that encompass every step of the process from fibre opening, through web formation and bonding, all the way to drying and winding, has succeeded: a well-known Asian nonwovens producer has been convinced of this concept and in the coming months will receive the Bastian models of the new generation BWT 201-05 for its complete line. The company was able to successfully continue the Bastian winder business while seamlessly integrating it into existing operations. The Bastian experts provide their highly specialised knowledge of product and process quality from their design and sales office in Bielefeld. Assembly is handled by a specialised team of Trützschler Nonwovens & Man-Made Fibers employees located at Egelsbach near Frankfurt, the home of the famous Fleissner AquaJets and drum dryers. The response at converting and nonwoven industry trade fairs, including ICE Asia, ITMA Asia and CINTE last year, as well as ICE Europe this year, has been very positive. Customers appreciate the tailored winding and cutting solutions for demanding tasks. 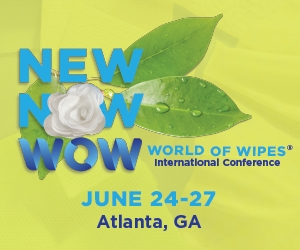 In 2013, Trützschler Nonwovens & Man-Made Fibers will also present the BASTIAN product line at Chinaplas in Guanghzhou, Techtextil in Frankfurt, the plastics trade fair K in Düsseldorf and the nonwovens trade fair SINCE in Shanghai.